It’s time to get down to the nitty-gritty of making love work as Venus transits into Virgo on Thursday (through October 7). Paying attention to the details of your current relationship or the way you approach a new relationship will heighten your clarity moving forward. Mercury turning direct on Friday will enable communications to flow smoothly. Here is your love horoscope. Your love reading is waiting! Click here to find your psychic. It’s the small things that will inspire or upset romance as Venus travels through Virgo. It’s time to focus on the daily tasks that allow your life (and relationship!) to run smoothly. If you’re solo, your kindness may draw a potential paramour. Your mind will be stuck in work mode and spoil the fun this weekend unless you finish whatever you’re working on. You’ll be in the mood to share your heart with someone special as your Venus ruler transits through Virgo. If you’re happily paired, engaging in shared activities that evoke your fun-loving side will spice up your connection. If you’re solo, you’ll meet people who ignite your passion and creativity. Just try to go with the flow if romance hits a roadblock this weekend. Venus jaunting through Virgo will bring out your home-loving side. Beautifying your abode and hosting a party for your friends or family will show off your artistry. Some cozy dates for two can bring delight as well. If you’re looking for love, you’ll be drawn to people who connect with your roots. A family obligation will be on your mind during the weekend. Are family obligations keeping you from having a social life, Gemini? Learn how to balance fun with responsibility during a relationship reading with Psychic Asia ext. 5486. Love and communication go together as Venus travels through Virgo. Using your humor or eloquence to express your feelings is sure to inspire romance. If you’re solo, you may meet a new love interest through a class, trip or an online source. This weekend, however, Saturn may stymie your self-expression or make you critical of a relationship (or your love life in general). Practicalities will influence love during Venus in Virgo. The harmonious vibe of Venus favors financial discussions with your partner to build a stronger relationship foundation. If you’re looking for love, you’ll be drawn to people who are stable and grounded, which can either balance or dampen your fire. A practical matter may take your attention away from romance this weekend. Venus transiting through your sign will intensify your powers of attraction. Work is important to you, Virgo, but now is the time to focus on sharing your heart with the people closest to you, such as expressing your appreciation to your partner and friends. If you’re solo, romance can be found while socializing, although you’ll likely prefer spending much of the upcoming weekend at home. Wondering if they know how you really feel, Virgo? Find out during a relationship reading with Psychic Brendalynn ext. 5173! Past relationships will be on your mind as your Venus ruler transits through Virgo. Perhaps a situation involving a former lover or friend was left unresolved. Healing your heart and releasing the past so you can move forward should be your focus now. This weekend, taking some time for introspection may reveal a limiting belief about relationships that hinders your love life. Spending time with friends and making new connections will be the focus of Venus in Virgo. If you’re solo, a friend may play matchmaker or a group may bring someone special into your life. If you’re happily paired, initiating a social activity with your friends will energize your relationship. However, you’ll not be in the mood for a social gathering this weekend. Expanding your professional contacts will be one of the themes of Venus traveling through Virgo. You’ll be drawn to people who have similar work experiences or goals in life. Romance can be found during a public event or through a colleague. If you’re paired, it may be time to discuss where your relationship is headed. An issue over authority or work may upset romance this weekend. 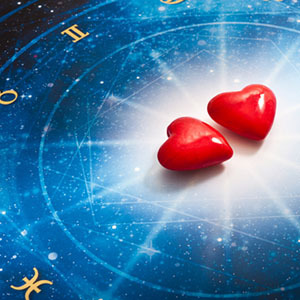 Venus transiting through Virgo will inspire you to think about your relationship ideals. If you’re paired, sharing each others aspirations can strengthen (or at least clarify) the direction of your relationship. Romance with someone new may come from afar or through a spiritual gathering. This weekend, getting in touch with your faith will purge any doubts that arise about your future. Venus transiting through Virgo may ignite a passionate encounter. You’ll also feel a psychic connection with someone close to you. Perhaps most important, this influence can reveal an inner block that stymies the flow of intimacy, which may become apparent this weekend. Going inward will enable you to analyze, heal and release any emotional wounds that keep you stuck. Break free of your emotional wounds and heal, Aquarius. Psychic Yvonne ext. 9883 can help! Sharing will be your focus as Venus in Virgo illuminates your partnership zone. Happily paired couples will feel the love if they keep their hearts open and share their experiences with each other. If you’re seeking a relationship, you may be drawn to someone who is aligned with your desires and goals. Love will likely challenge you this weekend, though. You’re the Key to a Great Psychic Reading!